Rowcroft Hospice has opened a new takeaway coffee shop next to its Furniture Outlet in Teignmouth Road, Torquay. Love Coffee @ Rowcroft takeaway is open from 8am – 2.30pm Monday to Saturday selling hot and cold drinks and a delicious selection of locally-sourced takeaway food. Caroline Wannell, Rowcroft’s Head of Retail, explained: “We are delighted to announce our new takeaway coffee shop; Love Coffee @ Rowcroft is now open. “This is a brand new venture for the hospice but builds on the success of our Churston coffee shop and tea room. The takeaway’s food offering includes a selection of breakfast baguettes, gourmet burgers, paninis and jacket potatoes as well as a number of vegan alternatives. 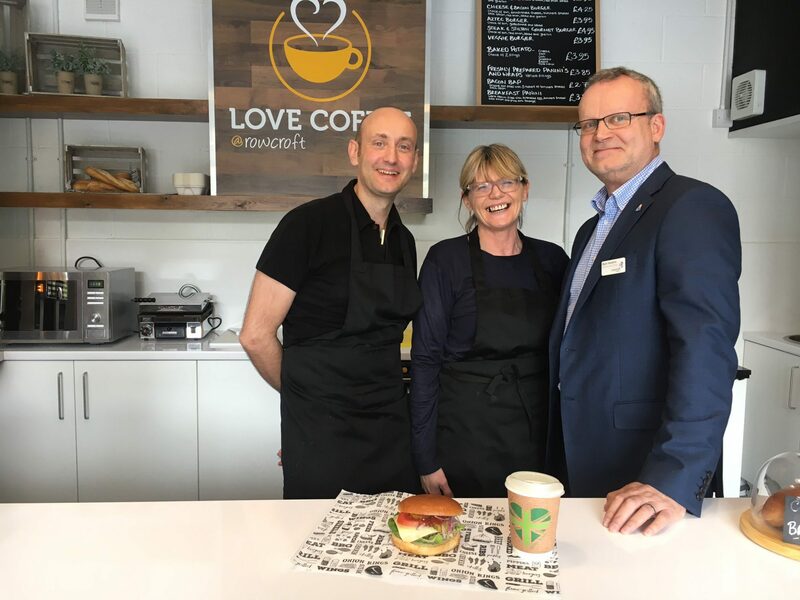 The opening of the Love Coffee @ Rowcroft takeaway is part of the hospice’s continued drive to increase revenue generated by its retail department. Rowcroft’s Chief Executive Mark Hawkins explained: “Since 2014 profits made by Rowcroft’s retail department have risen by 85% to more than £500,000 per year. Caroline added: “We would like to say a huge thank you to all those who support Rowcroft Hospice by donating items to our shops, and shopping in our retail outlets and coffee shops across South Devon.